Culture clash is the subject of "Beyond the Black Stump", set in the American northwest in 1954, where people think of themselves as pioneers, and Western Australia, where they are. The hero is Stanton Laird, an American geologist who has worked all over the world for the Topeka Exploration Company, most recently in Arabia. As the story opens, he is vacationing in his home town of Hazel, Oregon. Stanton is a dull dog. He doesn't drink, seldom smokes, and for entertainment or spiritual guidance relies on the Bible and the Saturday Evening Post. It was not always thus. When he was 16, he and his best friend Chuck shared reefers, booze, jalopies and girlfriends. A game of chicken ended these childhood escapades, killing one girlfriend. The other was pregnant, and though she chose to marry Chuck their oldest son is the image of Stanton. In Stanton's eyes, Hazel is frontier country with plenty of pioneering still to be done, a town with only two TV channels in a state where you can go 30 miles and never pass a gas station. Not until he heads for his next assignment, in the land beyond the Lunatic Range of Western Australia, does he discovers what true frontier really is. Topex has been granted exploration rights on Laragh Station, owned by the Regan brothers. Laragh is relatively well-blessed for water, and its million acres offer grazing for 34,000 sheep, unlike adjacent Lucinda Station whose 300,000 acres only support 4,000. Stanton's camp is on the border between the two stations. The Regans are not Arabs and their language is not foreign. But their tangled and extended family ties are exotic, as Stanton discovers when he is attracted to Mollie Regan, one of 11 offspring. Pat and Tom Regan left Ireland with prices on their heads following the Troubles. Tom married a Scottish barmaid, who came to Laragh with her two children. Several children later, she found she preferred Pat, who had meantime had two children by the aboriginal Countess Markievicz. He had several more with Mrs. Regan in a union unblessed by the Church, and this motley crew has been educated on the station by the Judge, a former Eton schoolmaster. Rum is the beverage of choice at Laragh, dispensed by Mrs. Regan and consumed in quantity by Pat, Tom and the Judge. Stanton runs a dry camp, but the Regans are an easy-going crowd and they don't especially hold that against him. Indeed, the Australians are impressed by the sleek efficiency and technology of the Americans' camp. Unlike her older brothers and sisters, Mollie has never traveled. She is won over by the glossy ads of the Saturday Evening Post, to the dismay of David Cope, owner of Lucinda Station. She becomes engaged to Stanton but Mrs. Regan insists that before the engagement becomes official she visit his home in Hazel. Mollie is made welcome by the Lairds and the recently widowed Ruth, Stanton's ex-girl friend, and settles down to learn all about the American way of life. She soon finds that, although this frontier town has more modern conveniences than she has ever seen in her life, the contrasts with Australia go well beneath the surface. For one thing, drinking is done on the quiet in Hazel, and she finds it hard to imagine how her family would be received. The Lairds are perturbed to discover she has coloured brothers; she wonders how they would react to the knowledge that she is not, strictly speaking, legitimate. The parentage of Ruth's eldest son, which to Mollie is amusingly obvious, is in Hazel held as a tragedy best left unacknowledged. Yet no one, not even Stanton, spares a thought for the real tragedy of his teen years, the girl who was killed during his escapade with Chuck. In short, appearances are everything in Hazel, while in the Lunatic, where life is precious, they couldn't matter less. Stanton wants to marry Mollie and settle down, and has already handed in his notice. He has only one more report to write, the report of his findings in the Lunatic. But Mollie finds herself facing the biggest decision of her life as she contemplates the gulf between their two cultures. Beyond the Black Stump paints a vivid and entertaining picture of Western Australia. Life on Laragh and David's heroics on drought-ridden Lucinda are portrayed with the affection and affinity for Australia we've come to expect from the author. But while the story makes some good points about the differences between life there and in the U.S., the American portions of the story seem dull and flat by comparison. 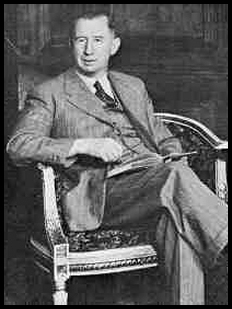 Nevil Shute admired American technical know-how, but I wonder if perhaps he had difficulty relating to the society and people. The United States is foreign territory compared to the countries of the Commonwealth, where-certainly in the 1950s-shared traditions, customs and attitudes served as points of reference for the British emigrant making the transition to a new life. Such points of reference are largely absent from American life, making the transition that much harder and the nature of its people more elusive.